Have you ever wanted to run away from it all? 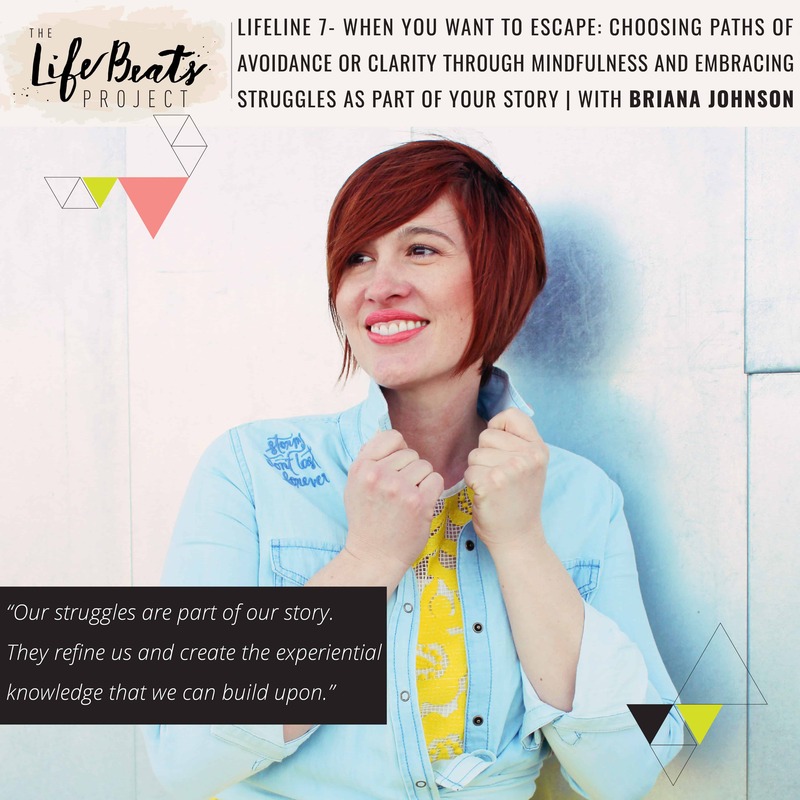 In today’s latest installment of the LifeLine podcast series in which I help you to discover your own story and see the good that already exists inside of you, I share with you some real feelings brought on by some current events in my life that has given me an understanding as to why people turn to different types of escapes to cope with hard things in their life. We explore what causes us to turn to our escape, the paths of avoidance or dealing with the pain and identifying which one we are on, as well as examining our healthy ‘clarity giver’ types of escapes versus the unhealthy types that only numb or delay. We talk about 6 different skills of mindfulness that help create a state of mental awareness and focus without becoming attached to what we have experienced. We talk about the idea of leaning into and embrace the hard things in our lives instead of separate ourselves from. I share with you my period of resistance during the initial transitory time of going from a stay-at-home mom to then trying to create a successful at-home business that would have allowed me to remain home to then needing to go outside of my home to become the sole provider. I share how I fought so hard that this was not my story but learning to let go of the past and to embrace our struggles as part of our story to allow them to refine us and give us the experiential knowledge that we can build upon and will strengthen us, that will create empathy inside us and they have a purpose even if we have to create one. I share my favorite quote with you that reveals a connecting pattern between us of adding to the things that we have been given and then passing them on to others. Friends I hope something I share today will help you to see that you can take on those seen and unseen battles you are fighting, that you are not alone, that there are tools, people, communities, and a God that are here to help you through it! Want to know if this episode it for you? This episode is perfect for someone who has ever wanted to escape from the reality of something hard in their life, someone who is looking to find answers on how to get past those feelings, or someone who would like to learn skills of mindfulness that will help them learn to cope with hard things. Oh thank you so much for listening and for holding your breath for me:) I am so glad that something that I said resonated with you. I have never heard that song but it sounds perfect!! What a beautiful take from the podcast: building a bridge between grieving the loss and accepting the new. I am so grateful for your comment tonight!! !